Eat more Organic Live Foods, lots of them! And daily use a stool to raise your knees up to assist your colon while eliminating. Use a Probiotic daily helps. Occasionally use this wonderful product by Dr. Group, I love this product. Since childhood I have needed assistance to daily eliminate. I have used many herbal remedies and teas however, I used this product and my bowels have been healthier ever since. I highly recommend this product. Our skin is the largest organ in our body! Using a dry brush with a natural bristle daily creates a way to exfoliate your skin before a shower or bath. Organic sugar scrub with just enough almond oil or avocado oil to wet the mixture then add your favorite essential oil like Lavender or Grapefruit or Bergamot. After bathing, turn off the water and just scrub the mixture in the shower to revitalize/renew your skin and then rinse off. Use this scrub whenever needed. 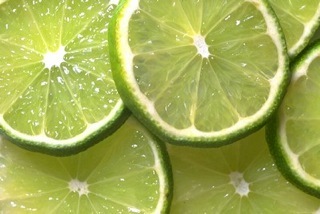 For antiperspirant/odor use Organic Lime Juice. Wow… this works really great. It is the best I have ever found and non-toxic 🙂 All you do is pour a little out, 1 teaspoon in a small dish and dap it on with your fingers. It feels sticky until it dries but works like a pro! My favorite Perfume is by Ascended Health called Sufi Bliss Ascension Oil. Yummy high frequency flowers like the Pink and Blue Lotus are just a few in this delightful blend. Probiotic ProAlive is my favorite to use daily first thing in the morning. I use the Essence of Absolute Rose daily as well which Rose is the highest frequency of all plants vibrations. Did you know the bottoms of our feet is the most absorbent place on your body? Well yes it is. Bulgarian Rose is the highest frequency of all the Roses to my knowledge. 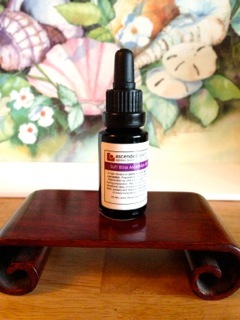 If you are stressed or in disease state this Essence of Rose is a must to assist your body back into balance. Apple Cider Vinegar has countless ways to treat your body. (Examples such as skin irritations, acne and contact dermatitis.) Just rub some Apple Cider Vinegar on areas on your skin where you are having issues with and it works like magic! Apple Cider Vinegar has also been found to greatly improve digestion and eliminate heart burn, assist in chronic fatigue conditions, help relieve constipation and assist in weight control by breaking down unwanted fat in the body. Here I found a fellow pet owner who suggested this simple remedy with half mixture of ACV and water. I sprayed the area once to twice a day, and it cleared up my dogs rash in just days! A few months later it came back and I applied the same remedy and it work again. The rash has been gone now for about a year. Earth Clinic has a wealth of wonderful solutions for your pets and for yourself. Below are some important health checks suggested we would be wise to know: What is your Blood Pressure, cholesterol, waist size, fasting blood sugar and your weight are some important figures to be aware of for Healthy Living! Many of us needs to check your blood pressure number once a year. While optimal blood pressure can vary from person to person, the ideal number is 115 over 75. As long as you’re not light-headed, the lower the better. If your number is hypertensive, which is 140 over 90 or greater, you are losing about 10 years of life expectancy supposedly. To lower high blood pressure, many docs recommends losing weight and reducing salt intake. Because salt is such a big part of our diet today, and we get about 3,400 milligrams of salt a day. However, these numbers keep lowering maybe due to big pharma wants us all on HBP meds. Another thing everyone needs to know is one you can measure at home—waist size. Waist size tells you about the belly fat, and it’s that belly fat that puts pressure on your kidneys, and your kidneys regulate your blood pressure. So by squeezing your kidneys, you’re actually forcing your blood pressure up. Your waist size should be half your height. For an average size female, that’s less than 35 inches; less than 40 inches for a male. Those numbers are obesity thresholds. Ideally, less than 32 and a half inches if you’re a woman and less than 35 inches if you’re a male. Bentonite clay is another favorite of mine for over 30 years. This may be use to detox. 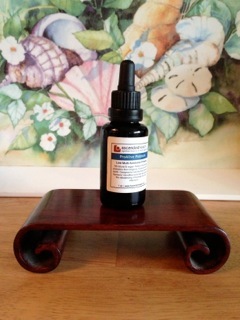 A naturopathic doctor help repair my Plantar Fascia Tendonitis. She had me taking Alfalfa tablets, Sea Vegetation tablets and liquid Chlorophyll for 4 months. Of course she muscle tested me for quantity of each. Sure enough after having this nagging pain for 6 months, it went away. While on a Juice Feast/cleanse for 80 days around the tenth day my Plantar Fascia Tendonitis went away and has not come since. It has been six month and still no symptoms. I still juice regularly about 3 or more days each week for breakfast & lunch. Maintaining a healthy weight is on the minds of many us. Here are some suggestions from Bob Greene’s advice I found profound and helpful. Breaking through takes courage, but the benefits could last a lifetime. “I’ve never seen anyone successful long term that couldn’t make at least one or more tough decisions,” he says. Creating our homes to be a refuge and a place of solace and comfort is vital for Healthy Living in today’s world where the various electronic devices that are over loading our energy levels. Yes, I have computers and all the bells and whistles of electronics that have inundate our lives. Yet I encourage you to create your home as a sanctuary, so you can be renewed, and enjoy a safe haven of tranquility. In my home, I have surrounded myself with nature, art and lots of twinkle lights and have eliminated any florescent lighting due to their ability to disrupt our energy field levels. I enjoy listening to music that sooths my spirit in my home environment. However, once again music is energy, so be conscious of what you are listening to. Is the music creating an atmosphere of peace or creating more disruptions and edginess? Pandora Radio is a wonderful creation so you can create your own style of music themes to listen to. I recently purchased for my son an “IDesign Tower” for his IPod for his home, which has wonderful sound quality. I encourage us all to practice turning our televisions off as back ground noise since, as it contributes to our over-loaded energy systems. Turning off the background TV will allow our central nervous systems to calm down from all the chatter. Allow your creative side to open up and create your home or at least your bedroom a special environment that invites healing and renewing. Years later I am glad to say I inherited this system lol. As for paint on the wall in our homes, you go to purchase or update look and see if can be organic in form like interior wall paint without all the harmful chemicals. Energy Medicine by Donna Eden has been providing vital information on how our technologies are creating more energy interference more than ever with our increase needs to connect with others and our community by use of cell phones, Internet, Ipad etc. Television, florescent lighting, TV monitors everywhere are inundating us, making our over-load. Connecting with nature each day helps ground our energy field. 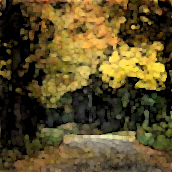 Being out side daily in nature can help to feel more grounded and present. Water! Yes water, I believe is very important to Healthy Living. I had been using a Reverse Osmosis drinking system for the past 5 years. My old reverse osmosis system was not functioning unknown to me for a few months while I believed I was drinking healthy, quality water. After purchasing “Jupiter Melody Ionizer”, just days later, 10 to be exact, I noticed the 2 moles on my left thigh which had become raised and darker over the last few years, began fading and shrinking in size and depth. Now 14 months later one mole is so faded I can barely see it and the other one is only faintly visible. Both are now flat, level with the rest of my skin on my thigh. Within 10 days of drinking this Alkaline water these moles were shrinking and fading! 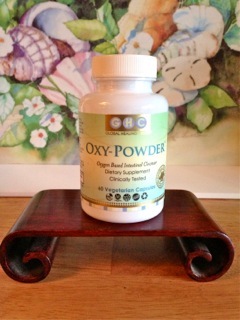 Wow… I highly recommend this system for better health. Here is a link to an article on the value of investing in your health.